Software Acronis Snap Deploy is a comprehensive solution for deployment on PCs and servers using imaging technology Acronis. With its powerful and simple solution Acronis Snap Deploy private companies, government organizations and educational institutions can quickly and easily perform initial or re-deploy system configurations on all notebooks, desktops and servers, while significantly reducing costs. Acronis imaging technology allows the generation of a full disk image of a user-selected standard configuration, including the operating system, configuration files and applications. Then Acronis Snap Deploy provides simultaneous deployment of the image on multiple systems, making this the best solution for quick installation on the “bare metal” for servers and PCs. – Power control. Deploying a master image from a single administrative console, including the operating system and applications on many PCs or LAN servers using multicast or unicast. – Universal work with the equipment. Installation images on a PC with different hardware architecture. 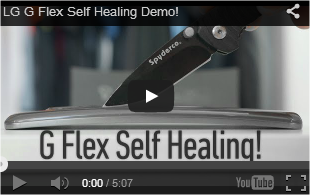 – Flexible deployment. Acronis Snap Deploy provides a variety of options, including the deployment manually, automatically, on command or scheduled. Technology Wake-on-LAN helps to automatically load the machine switched off. Standalone image deployment allows the image, if the network is down. – Individual configuration of machines. For each PC or server, you can assign individual settings to each machine got to adapt the configuration. List of machinery allows you to track the progress and status of all deployment operations, and control configurations for the training of new machines, identified by MAC-address. – Individual completion. The ability to change system settings after you deploy Windows name of the computer, the configuration of the IP protocol identifier or SID. – Download images from the media. Support for CD, DVD, USB-drive. Using Acronis PXE Server to boot over the network. 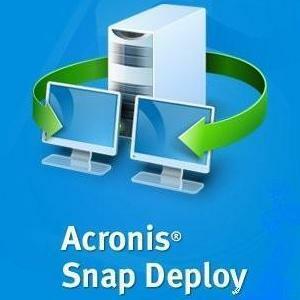 Acronis Snap Deploy allows you to choose a platform for bootable media Linux or WinPE. Users can also add the necessary drivers to bootable media based on WinPE, to achieve compatibility with the new equipment.